TAZ Whale Watching Tours, Gustavus, Alaska. Top 10 Best Whale Watching Tours in Alaska. Photos Courtesy of John Schnell Photography. All Rights Reserved. Join us for a morning or afternoon whale watching tour in Icy Strait, Alaska. We've done well over 2,000 tours now, and only twice have we not seen whales. We are a "Whale Watching Tour" and not a Whale Searching Tour. 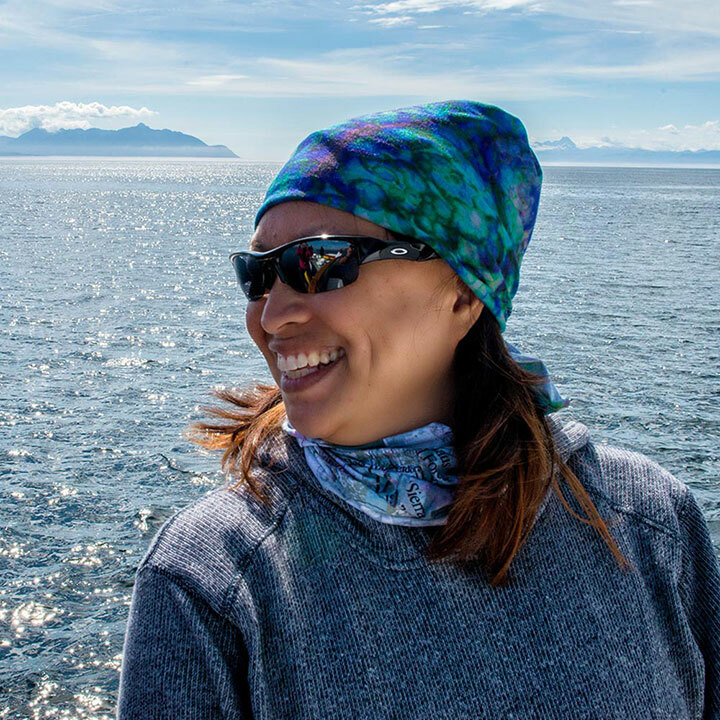 We also occasionally observe orcas (killer whales), minke whales, and a variety of marine mammals, including Alaskan brown bears, Stellar sea lions, sea otters, Dall porpoises, and harbor porpoises. 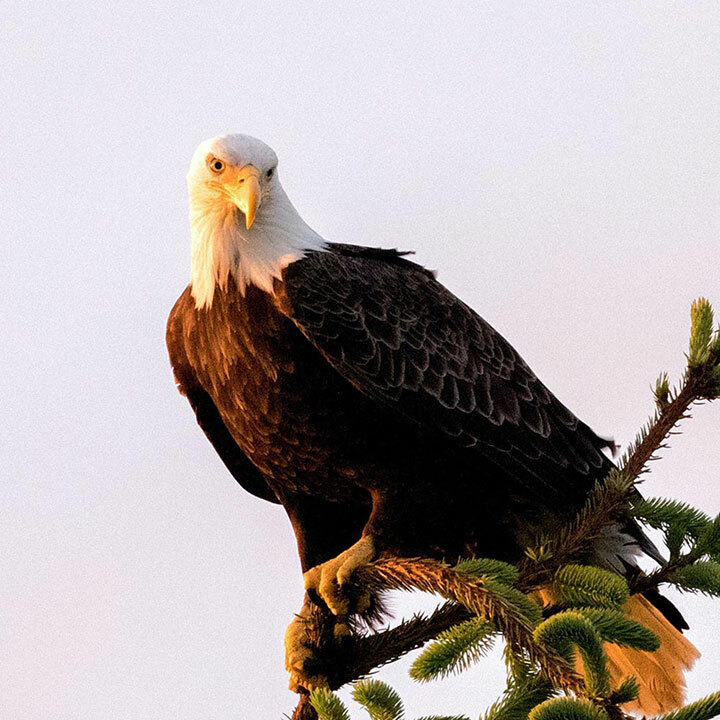 Bald eagles, puffins, arctic terns, phalaropes, blue herons and glaucous-wing gulls are also sometimes seen. The whales we see on our whale watching tours don’t have teeth! Instead, they have baleen — plates that filter out small fish from water. Baleen whales include humpback whales, right whales, blue whales, sei whales and fin whales. The shape and pattern of the tail of a humpback whale (its fluke) is like the fingerprint of a human. No two are alike. Whale researchers and whale watchers can identify humpback whales by the pattern on their flukes. We offer morning and afternoon excursions into Icy Strait and Point Adolphus (near Glacier Bay). 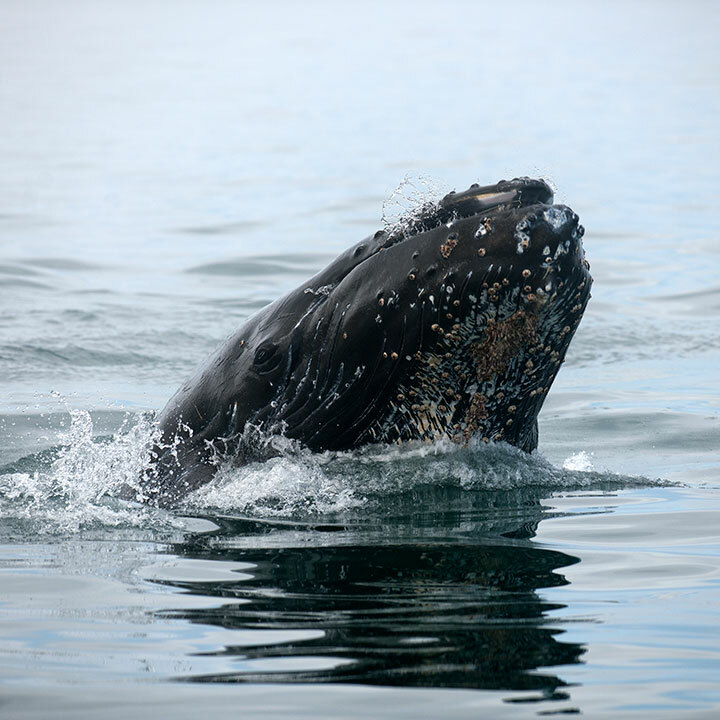 Join us for a great opportunity to see humpback whales, orcas (killer whales), Alaskan brown bears, stellar sea lions, sea otters, dall porpoises, harbor porpoises, bald eagles, puffins, and a variety of other shore birds. 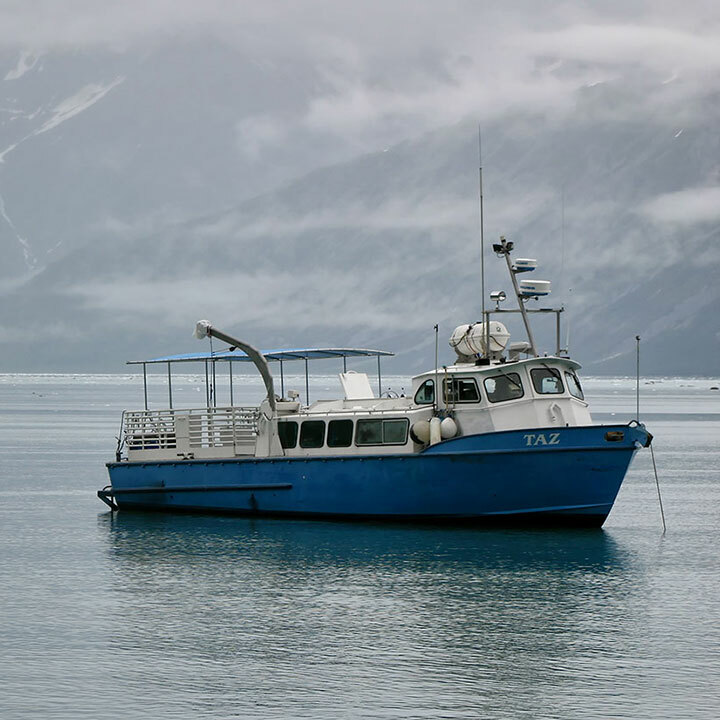 The TAZ is a 50' aluminum passenger vessel, and is certified to carry 28 passengers. The TAZ is very stable, with large windows and a comfortable heated interior. The TAZ is great for whale-watching and wildlife viewing, from inside or outside. Nothing matches the freedom and comfort of an Alaskan whale-watching tour. Our "mobile base" provides us with unparalleled access to whales and wildlife. There is no better joy than sharing the amazing Alaskan wilderness with your fellow photographers. We offer morning and afternoon excursions into Southeast Alaska's fabulous humpback whale feeding grounds in Icy Strait, just outside Glacier Bay National Park and Preserve. Our on-board naturalist provides excellent information on every tour. The TAZ is Alaska-owned and operated by Tod Sebens. The TAZ is also available for custom charters. Wildlife viewing, special needs, or just about any other creative project — we're ready to work with you! We take pride in our professional service, reputation, and style. We commonly service camps, lodges, schools, communities, individuals, and special events.